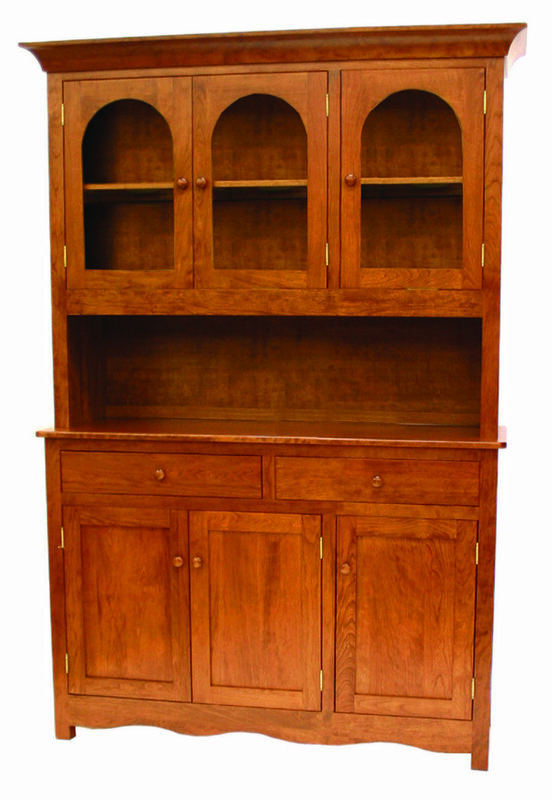 58″ Dutch Hutch shown in Cherry. Standard Features: Plain glass, glass shelves with wood edge, tube lights, touch switch, plain wood back. Options: Available in 41″ and 74″ widths. Buffet only.